This is really cool. 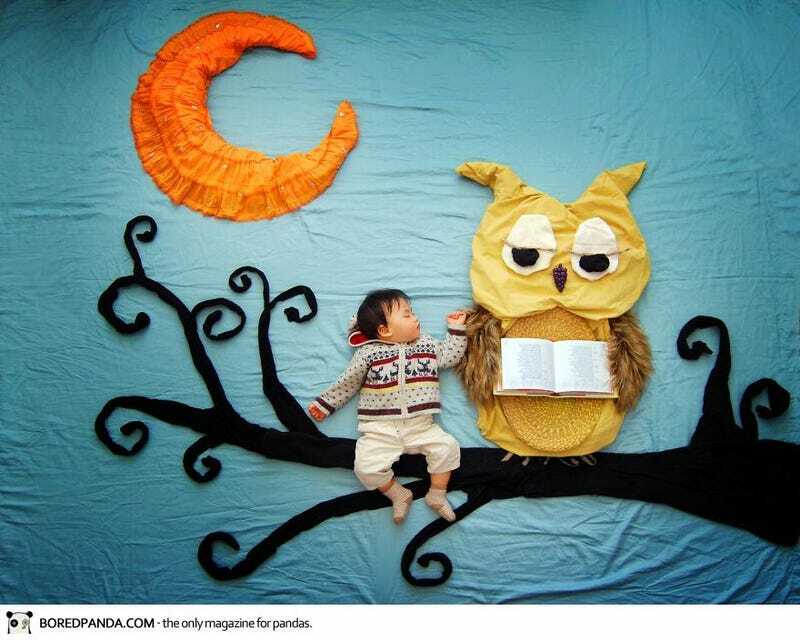 A mom, Queenie Liao, has created all these whimsical scenes revolving around her son Wengenn. She does it all with sheets, stuffed animals, and other common household items. My SIL sent me this link and joked that if I got bored during mat leave I could do something like this. Ha, this lady does some amazing things.